Can you help finish the list? 4th Rosaleen McTigue (my sister), 6th ? O'Connor (pub Glebe St), 10th ? 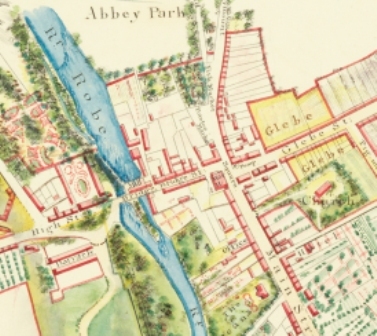 Hughes Abbey St.
We are very grateful to Hugh; can you add more names please? This page was added by Averil Staunton on 16/10/2011. Hi Averil, I'm pretty sure that my aunt, Delma Gallagher (R.I.P. ), formerly of Cornaroya, New York, and many exotic locations around the globe as a U.N. employee, is at 2nd from the right in the back row. My grandmother had a copy of this photo - or one very similar. The fact that John Moran is in it pretty much confirms it for me as they were in the same class. By the way, loving the site: I've just spent the last two hours reading some of the articles and they re-awakened my nostalgia for that 'foreign country' where they did things very differently, and though much of it was cruel, greedy, and unjust, in the case of Ballinrobe we were left a rich architectural and scenic heritage - thus making it a fantastic place to grow up, especially in the '60's and '70's when we had the freedom to roam that children nowadays don't seem to have. Reply: Delighted to hear from you and so glad you are enjoying some of the article on the site. Thank you for the information on the photo; its a great help which others will, no doubt, find interesting too. 4th row, Rosaleen McTigue, I'm trying to reconnect with her. Does she have a different last name now? 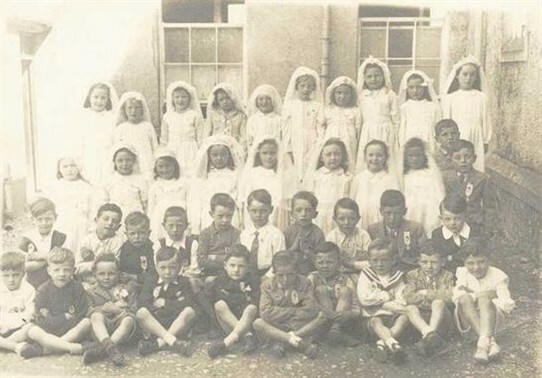 The 6th in back row is Mary O'Connor now Mary Clarke.